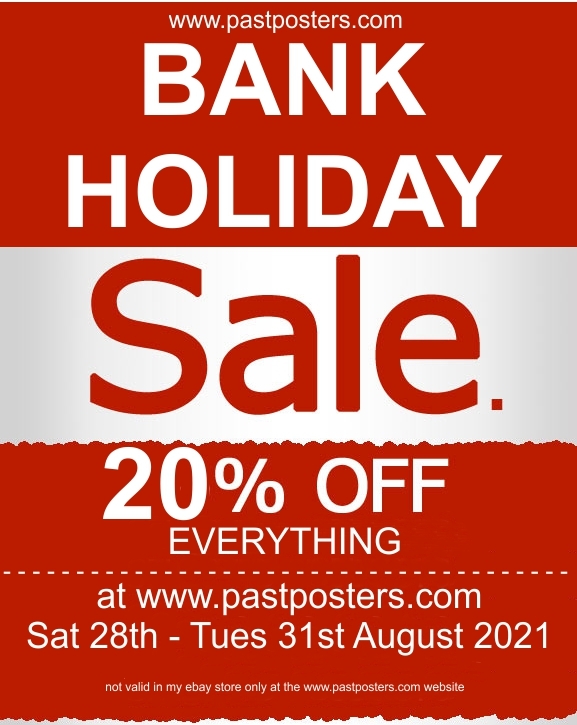 Just to let you know I’m having a 15% OFF EVERYTHING Sale at www.pastposters.com this Bank Holiday Weekend. Choose from nearly 6000 Original Movie Posters, Lobby Cards and Memorabilia. No Minimum purchase and no codes required, just purchase anything on the www.pastposters.com website between Friday 01st and Monday 04th May and receive 15% OFF The item price. Discount will be shown on item pages for your convenience.